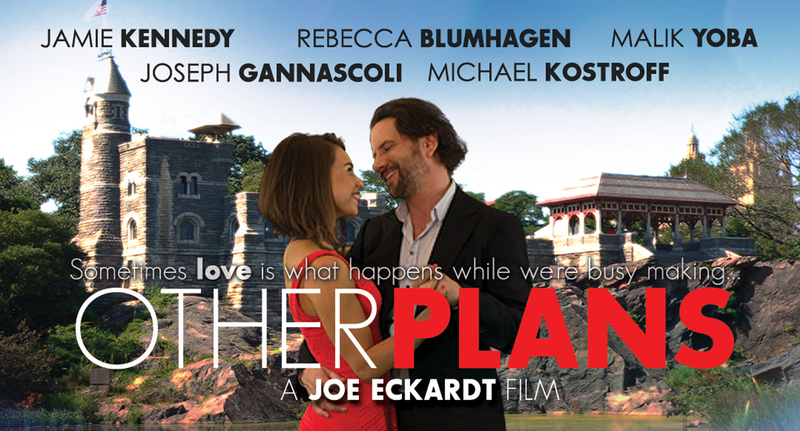 A modern-day twist on the Cinderella story, OTHER PLANS is the story of Claire Combs (Rebecca Blumhagen), who has adhered to a life plan she created for herself at the age of 14 to rise to the top of her profession. The only milestone she has yet to reach is in meeting the man whom she is going to marry. When, by a twist of fate, she mistakes Nathan McKeon, her building’s maintenance man, for the head of the publishing firm that her company has just landed as a client, she finds herself falling in love with a man who has no place in her plan. Now, with the help of her “fairy godfathers,” Mark and Christopher, Claire must face the limitations of her life plan and choose whether to follow her head, or follow her heart to the man of her dreams. OTHER PLANS is slated to begin shooting August 2013.